Wade Shepard grew up around ghost cities in Rust Belt, USA, so he’s reluctant to call China’s newly constructed, yet-to-be-populated urban developments “ghost cities”, but he does so for brevity’s sake. After years of traveling to and writing about China’s ghost cities on his website Vagabond Journey, he’s finally published a book on the subject. As a phenomenon with lots of hype but lacking in critical analysis, Shepard’s mission is to desensationalize and rationalize ghost cities’ existence in the context of China’s massive push for urbanization. His research has led him to see the purpose of urbanization in China, and even the basic function of cities and residences, in a different light. When Shepard came to the Bookworm several months ago to talk about his new book, Ghost Cities of China (which is out now and available here) I got the chance to sit down with him and hear stories about biking into new cities, sleeping in tents in the middle of massive metropoles, and being part of a new generation of China writers. Read our discussion below, which was edited for length and clarity. NOTE: This is part 1 of a two-part interview. Part 2 will come out next week. Listen to a clip of the interview here. CL: What angle are you coming at the ghost cities story from, and how does it differ from other ghost cities coverage? The international media has established this narrative that these cities are being built to boost GDP, right, that there’s nobody there, there are a lot of empty apartments. And I was kind of disappointed, I thought that when the Chinese media started looking into this that we’d get something more added to the dialogue. I guess where other coverage differs from what I’m doing is that I spent about two and a half years actually in these places actually talking to the people who were building them, the people who were moving into them, people who were buying property. I guess when you’re a journalist you have two approaches right: you can choose to sensationalize this story, and a story about cities with no people in them, that’s inherently sensational. Or you can choose to rationalize something, to really go in and break this story down and try to find out what’s really happening. And I tried to do the latter. What was your first exposure to the existence of ghost cities, and how did your understanding of them evolve from there? The first time I ended up in a ghost city – or I should say a new urban development that had yet to be populated in China – was actually about five years before I really started this project. It was in 2006, I was a student in Zheda and I was working on a project about Chinese hermits, or the “modern hermit tradition.” I went out to Tiantai in Zhejiang Province which is in this area – it’s where Han Shan, the famous Tang Dynasty poet had his hermitage – and I went out there and visited Han Shan’s hermitage and I looked for modern hermits, people living in the mountains and whatever. And it was an interesting trip. What was really of significance about it was when I arrived in Tiantai I made a wrong turn out of the bus station: I could have went right and into the old city where there’s people, but I went left. Oftentimes they build these new bus and train stations out in the new areas – like if you look at a map of China’s high speed rail system, where the stations are often directly correspond to where a new city or a big new development is going to be. There is very much a master plan and there’s this push to fulfill the master plan that sometimes comes off as slapdash to observers. Apparently Chinese academia was already aware of my “discovery” and they weren’t interested. So I had my thunder stolen and just sort of limped out of his office. To me, I think that indicated that new cities and new developments were a normal condition and that everyone knew about them. However, that sentence – “Those places are everywhere” – stuck with me, and I started to go out and look for them. Later on, that same summer, I was hitchhiking in Inner Mongolia, I found this abandoned place out in the desert. The place is called Erlian in Chinese, and there’s basically only two things in this place: there’s a border and there are these giant dinosaurs on the highway that everyone gets their picture taken in front of. So I got my picture taken with the giant dinosaurs and walked into town and walked through the new area which was this completely new area but it had sand dunes running up the sides of the buildings – I mean this part of town was completely abandoned. There were tumbleweeds rolling across the streets; it was absolutely the kind of place that tumbleweeds would be rolling across. So I walked into town and thought “Wow, this is crazy.” I went to the old town and there were people living there. But this town – Erenhot – it was included in one of the first ghost city reports that included satellite images of these half finished cities and it went viral in 2010 and they pretty much released the same photos and it went viral again in 2011. They’re still going viral to this day. I don’t really understand how anyone can really make a story out of a half-finished city not being populated, but that was the narrative at the time. But this place became pretty well known about 5 or 6 years after that point. So I left Mongolia and started travelling around China, writing professionally, and working on my website, which became moderately successful. The website is Vagabond Journey, and the premise was to travel around the world as a normal working man and try to get the perspective from the streets of places all over the world. Vagabond Journey is not China-specific. I was able to make enough money to go around the world and write about whatever I wanted. At the peak of the site there were 10 people travelling around the world and reporting. It was a lot of fun. I returned to China around 2011 or so and I needed a project. Why did you return to China? I returned just because I loved it here. I was here about 3 years up until the time I first left. Immediately before I returned to China I was in Mexico, Domincan Republic, Haiti. It was the dream: I was making a living off of an extremely improbable project and it was great. But anyways, it wasn’t the ghost cities that brought me back, it was just the fact that I love China. Before when I was in China, there were many places that I still wanted to travel to, and after five years of travelling it just felt like it was the time to go back. Honestly, it felt like a homecoming. By this time, ghost cities were an international phenomenon and the international media were reporting on them. What were the earliest or most definitive ghost city reports that you’re referring to? Okay, so part of the ghost cities critique is where these stories came from. The earliest English-language report came out in 2009, it was Melissa Chan writing for Al Jazeera. Apparently, she was out reporting a different story in Inner Mongolia, by Ordos, and she stumbled in Kangbashi by mistake. The report was basically her experience there, which you really can’t argue with. 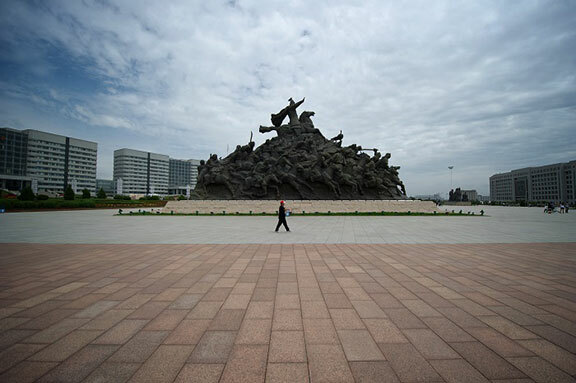 But her analysis for the reason why Ordos would build a completely new city was simply to boost GDP – which is fine, that’s her take – but it just seemed a little too simple. But that was the narrative that ended up being repeated throughout the ghost city report and that’s what being repeated today, that China is building these huge empty cities to artificially boost GDP. In the case of Ordos Kangbashi, it doesn’t make that much sense to me, since at that time Ordos had one of the highest GDPs in the country, the place is booming off of coal, wood, and rare earth. So the GDP was already booming. So how did she come to that conclusion? There was a very big jump to that conclusion. You can watch the video on Al Jazeera. But I can’t take that away from her, she was doing what a journalist should do: take your experiences, research it, talk to experts about it, mix that with what you think, and publish it. The real problem was that the story wasn’t questioned and other perspectives were not sought out. It just went unfiltered through the echo chamber of online media. Before long, you have all these other respectable sites repeating the same story, and it essentially confirmed its own reality about the story that was hard to contend with, because there were all sorts of sources saying the same thing. I had visited some of these empty developments four years prior, so I was familiar with these places, and I felt there might be more to the story. So I went out to see more of these places for myself and see if there actually was more to the story. So how did you find the ghost cities you visited? In 2010, this Hong Kong financial firm called Forensic Asia put out a report on China’s ghost cities, and that’s another one of the first reports that came out. In that report, they seeded the international media – like the Business Insider daily e-mail – with these satellite images of half-finished cities and made a big deal of there not being people in them. These photos went viral. Their take was pretty much the same as Al Jazeera’s, that they were built just to boost GDP. 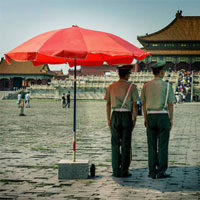 One of the big angles of Forensic Asia – they’re kind of like a financial analyst firm – was that China has a housing bubble and it’s going to burst. They predict it’s going to burst in 2013 and all that and that too went into the echo chamber of the Internet and it just kept getting regurgitated. It started out that the most famous ghost cities were the new developments that had already been labeled as ghost cities and I would go there just to see them and write about them. The first place that I went to on this project was the New South China Mall in Dongguan which is technically the largest mall in the world based on leasable retail space. The place is an absolute monument. It was first built in 2005 and seen as heralding in this new age of Chinese consumerism when the Chinese would manufacture luxury products instead of shipping them abroad. It was kind of like Carl Crow’s “400 Million Customers” type of thing. But unfortunately not many retailers signed on to the biggest experiment in the history of retail: the place opened to 99% vacancy and that’s the way it stayed. So it’s actually a pretty cool place to go. At least when I was in 2012 there I was able to jump over the barriers and run through this empty mall. I wrote about it, published a video, and the story got picked up by the international media. So my take on this was very similar to the existing take circulating around the international media. If I could go back in time I’d probably report from a different perspective. But the video report that got onto the front page of Yahoo News and I made quite a bit of money on that, for an independent writer at least, and that got me really excited because that’s kind of a rare thing to have happen: that you could cover something interesting, travel a lot, and make money too, so I’m very into this project at this point. So the next place on my radar is this new development called Dantu in Zhengjiang, which is in Jiangsu province. This is a new area that’s been referred to in the Ghost Cities reports and apparently it’s been abandoned for about 10 years. So I went there and the place wasn’t very busy, but it couldn’t be considered a “ghost city”: some of the complexes had a reasonable amount of occupants, all the shops had businesses running, et cetera. I wrote that story expecting the same amount of media attention, I pinged my contacts at different outlets. Nothing. Hahaha, absolutely nothing. It quickly became apparent that the international media or the general public had no interest in Chinese ghost cities that had people in them. So that begs two questions: what, to you, qualifies as a “ghost city” and where is the threshold for the public’s interest in this subject? There’s a traditional take of what a ghost city is, and that’s a once-economically viable place with a population that no longer has many people living in it. What China has is the opposite: that is, a place that has not yet got a population or a functioning economy. Now there are some ghost cities in China which are of the former variety, but this book isn’t about those places. My book is about places that are being built and haven’t come to life yet. On the ground, these places look very similar: there’s a lack of an economic pulse, there are not many people, but everything else is different. Before the Chinese ghost cities, for people who were interested in ghost cities, where was the place to go, if there was one? I would say there wasn’t really a phenomenon like this in any other country, at least on this scale, ever before. If you look through history at how cities were created, why cities were built, there’s usually always a reason. There’s a natural reason, either mining towns developing around large mineral deposits, or military campaigns would give rise to towns and cities in their wake, or oftentimes it just has to do with geography: it’s just a good location for a city due to proximity to whatever. There’s usually a pretty good reason to build a city. It’s not like Romulus and Ramus just being like “Here is where we’re going to build Rome”, it just doesn’t work like that, at least normally. But that’s kind of how China is building their new cities! At the start, there’s really no good reason to build a city in a lot of these places. So it’s the interesting new urbanism, because in order to legitimize building a city, they’re building a city. In other words, the city is the reason to build the city. They’re thinking “Once this city is built, people will want to move in.” The idea is that the city will just sprout jobs and people will come to fill those positions. Is there any research or anything to back this up? You can look at where they’re building, at local municipalities decision-making process and what kinds of deals these local municipalities are doing with the central government. So it starts with land sales. That is a fundamental piece of this story: how land sales fund local municipalities. 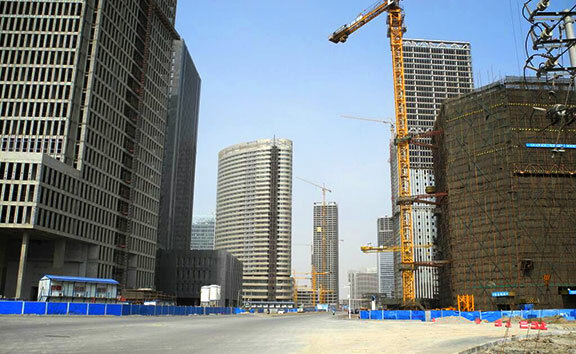 As of now, 40% of the revenue that local governments in China make is from land sales. The World Bank did a study in 2012 that found that 438 billion dollars in revenue is generated across China in a single year from just land sales. So this what’s pushing it, and one of the reasons this is the case is that China has an inherently imbalanced fiscal system, which makes local municipalities almost always running at a deficit, always needing to be making money. And they can’t completely function on tax revenue because Beijing eats up a lot of their tax revenue. So they’re only getting 40% of their tax revenue [with the rest going to Beijing] and they need to fund 80% of their spending themselves. So this creates a big deficit and they need to get that money somehow. One of the ways they get that money is via land sales. As I said, the amount of money that’s coming into local governments in this fashion is astronomical. When you’re selling land, you usually want to go to areas outside of the city that are not urban and urbanize the land. In case you didn’t know, there are basically two designations for land in China: there’s rural land, which is collectively owned, and there’s urban land. Urban construction land is what’s being sold. The collectively owned rural land cannot be sold to developers, though this is starting to change slowly. Now, the only body that can change the designation of any given land from “rural” to “urban construction” is the local government. So what [the local government] do is they go out and buy land at the low rural rate, they then change the designation to “urban construction land”, and then they sell high at the urban rate. In this fashion, they can make up to a forty-fold profit. They can make a lot of money. The idea is that if you get into the first wave of development, you can make a ton of money. So that’s a huge element driving the creation of these places. Is this a smart gamble? The central government has their massive urbanization plan, which is 10 or 11 mega-regions, which are these infrastructurally connected megacities. You can kind of see how local municipalities are pushed into this plan. First of all, having to make money via land sales to generate revenue and also using GDP growth as a measure of promotion within the Party, you can see how this entire country is being pushed into this urbanization plan. Whether it’s smart or not, I don’t know. Whether it’ll work or not is a different question. As of right now, in my opinion, it is working. It’s still too early to tell, but there’s evidence of these cities’ slow development and they are slowly growing. Making a city is a long-term commitment, especially when you’re artificially creating a city when there’s no natural reason for that city to exist in the first place. 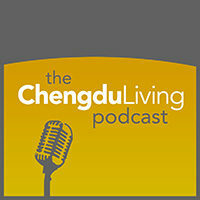 Generally, in China, the timeline for building a city in China is between 17 and 23 years. Which is absolutely insane. So when a local municipality puts forth a plan for one of these cities they will have a timeline, for example “by 2020 we’ll have a new city with 800,000 people living here.” They have these longer timelines, not a single one of which have expired at this point. So any way you look at this ghost city critique, it’s literally too early to tell. People are calling the game at halftime. You can try to predict what’s going to happen, but I still feel that the type of evaluation happening now is premature. So what is the metric for success? Is populating these cities the real endgame? Or is their check already cashed once the land is sold? That’s an excellent question. When I first started this project, the big question in the China ghost city debate was “will these places be populated eventually or not?” At one point I realized that maybe I was asking the wrong question. I mean that’s certainly a question and it’s a big one, but there are others, such as “what is the function of these places?” and “what is the function of an apartment, or a house, or property?” These questions led me to look at the ghost cities a little differently. Take the question “what is the function of a house?” Ultimately, it’s a domicile; it’s a place to live, it’s a shelter. But houses can serve different functions. A house in any place that has a modern economy is also an investment, an economically kinetic entity. It’s a place where you can store wealth. And if you have extra wealth, you have to make a decision about how you store it: You can store it in a bank, keeping the wealth in currency, which is apparently backed by gold, even though it isn’t really anymore [laughs]. I mean, it’s really backed by the good word of the government, but for the sake of this conversation let’s say it’s backed by gold. But a house is another place to store your wealth. And there are investors and speculators and that’s a big part of the story, but that’s not the whole story. There are people trying to flip the properties and make money. But a lot of the people who are buying multiple properties are people with excess money and need a place to keep the money. Why is currency a less viable choice for them? I was in Argentina when the currency crashed and the people who decided to keep their wealth in currency form lost tons of money. Almost wherever you store your money, there’s going to be some risk. If the Chinese economy collapses, the money will become worth much less. If you buy stocks, and the company underperforms, you will lose a lot of that wealth. If you buy a house? Sure, the value of the house can crash. But at the end of the day, if you own property, you are still going to have something tangible, whether it’s value goes down or not. And in a country of 1.4 billion people, housing is always going to have some inherent value, because people are always going to need places to live. And what’s really interesting about housing in China – and some cities are starting to regulate this – what you buy is an empty concrete shell. It’s not a house, it’s space. What you are buying is a certain amount of square meters. It’s kind of like buying a bond in the country’s New City Movement. You give developers your money off the bat – which kind of funds more land sales – on the prospect that you might be able to make that money back someday, or a have a more secure way of storing your money. These new houses are actually more valuable as maopeifeng, as houses with no internal fit out of any sort. If you put in walls, windows, electrical outlets, it will actually be worth less than an empty space. These places are serving a function beyond being a place of residence, so to look at an abandoned housing complex and say “This place is not being used because no one lives there” is totally missing the angle that they are indeed being used. They are serving as economically kinetic entities. You can think of them as a vault that you have valuable things in. Another way of thinking about it is that you’re collecting valuables. Like, when I was a kid, my grandmother would collect dolls. And I couldn’t figure out why anyone would buy what is essentially a toy and not take it out of the box! What is the purpose of that. But at that time I did not understand what the function of these things were: they weren’t toys, they were a way of storing money. You buy the collectible, you keep it in the box on the prospect that it will maintain or increase in value, and if you’re lucky enough to have bought one that becomes rare, you can sell it for more money than you bought it for. Are many of the properties in these ghost cities purchased and vacant? This is starting to change a little bit as China cools off the housing market. Most of them sell. In big cities like Beijing, Shanghai, Guangzhou, all the apartments will sell. 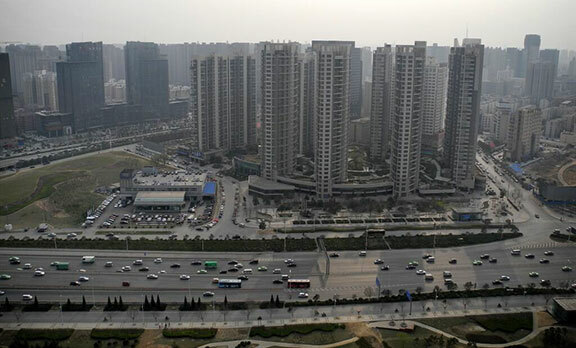 There are two types of housing in China: there’s commodity housing and there’s what’s called “economically affordable housing.” Economically affordable housing is housing people have to live in. It cannot be purchased as an investment. Developers have to sell these properties at only 5% over the cost to make them. And people who move in can’t sell them until a certain amount of years have elapsed. What we’re talking about when we talk about China’s housing market is commodity housing, which are houses that can be bought and purchased as investments. So most of them will sell. Sometimes in Tier 3 and Tier 4 cities some of them aren’t selling, which oftentimes has to do with new governmental regulations. If you look at the history of the China housing market or real estate market, from the time that it started going in the 1990s this is still a new industry. It goes up and down up and down. Now there is this general upward climb, but at each peak and each trough you see government policy which sends the market to the other end. And with the economic stimulus plans in 2008 and what’s called a “loose lending environment” with people buying their first and second homes you see a huge spike in the prices of housing , but then the government cools that off successfully. And now in some cities you can see them loosening restrictions once again. This is part 1 of a 2-part interview. Check back next week for part 2.